You have just arrived at the one place where you are going to find reliable, efficient and affordable solutions to any problems you might have with planning and executing your upcoming domestic removal on the territory of Poplar. 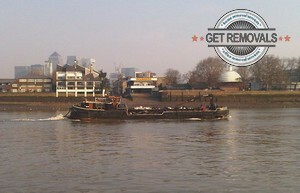 We are the leading professional removal Poplar based and operating company. 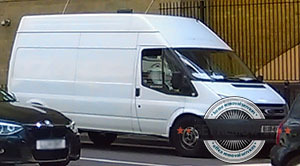 Our team has been carrying out excellent moving services on the territory of Greater London for the past several years. Since then numerous of local customers have made use of our services and have left us positive feedback concerning the quality of the job we have done. It is guaranteed that once you let us take care of your project, you are going to do the same thing. Full scale domestic and commercial relocations. Art, furniture and decoration transportation. In addition to all that, we offer very satisfactory rubbish removal, storage and packing services. They are aimed at complementing your relocation experience and making it far more efficient and hassle free. Relocating your home could be a pretty stressful, not to mention time and energy consuming task, but that would not be the case if you have us by your side. Our trained and fully licensed technicians will first take the time to discuss your needs and preferences at length with you, and then come up with the right solution to your project. They will tailor an individual plan for the job, including a free no obligation quote estimated through our custom pricing system, so that you have all the information about the costs of the job and the way it is going to be tackled in advance. Thus you can consider your budget and schedule properly. The actual relocation of your property will take no more than a day and our experts will take care of every single detail for you, so you don’t have to worry about a thing. Just call our 24/7 customer support today for requesting a free quote and boking. The historical district of Poplar is one of the most beautiful and important residential areas in the London Borough of Tower Hamlets at the present moment. The 20th century council estates mix in curious and nearly perfect blend with the well preserved terraced houses dating from the 18th and 19th centuries. The name of Poplar is related to several very notable figures of the cultural and political life of Britain. Among its residents were “The King’s Pirate” John Mucknell, social reformer and Member of Parliament Will Crooks, travel-writer and journalist H. M. Tomlinson, Hollywood actress Angela Lansbury and the creator of the first programmable electronic computer Tommy Flowers. Poplar was also a shooting location for a number of successful feature films, including the adaptation of George Orwell’s 1984, The Da Vinci Code, The World is Not Enough, 28 Weeks Later, A Fish Called Wanda and To Sir, With Love.